Recovery Month is a national observance that educates Americans on the services and treatment options for individuals struggling with mental illness and substance abuse. Each day, millions of Americans with these afflictions are taking steps toward stabilization, and their stories provide hope to those who are wrestling to break free. This month we celebrate the strength and successes of individuals who have sought help, and turned their hearts and lives toward God. Tony decided to undergo a 30-day treatment at The Salvation Army’s Adult Rehabilitation Center, and at the end of the stint, he didn't want to leave. 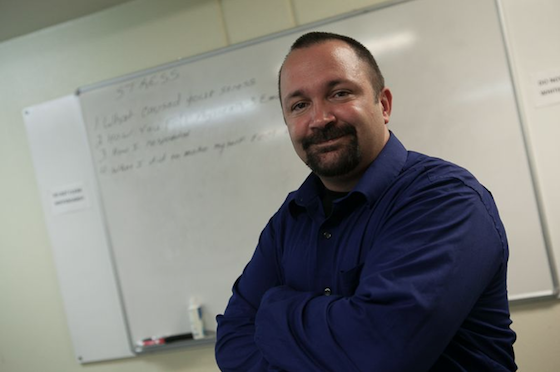 Tony had finally found hope and a future through the love and guidance of counselors and fellow program participants. “It was the fact that they loved me when I couldn't love myself,” he said. This year's Recovery Month theme, "Together on Pathways to Wellness" encourages all Americans to walk alongside family, friends, and neighbors who are fighting to overcome drug and alcohol dependency. If you or someone you know is struggling and needs help, please visit us at www.satruck.com to find one of our rehabilitation programs. View the latest stories of physical and spiritual rehabilitation by Liking Expect Change - Salvation Army Stories on Facebook.